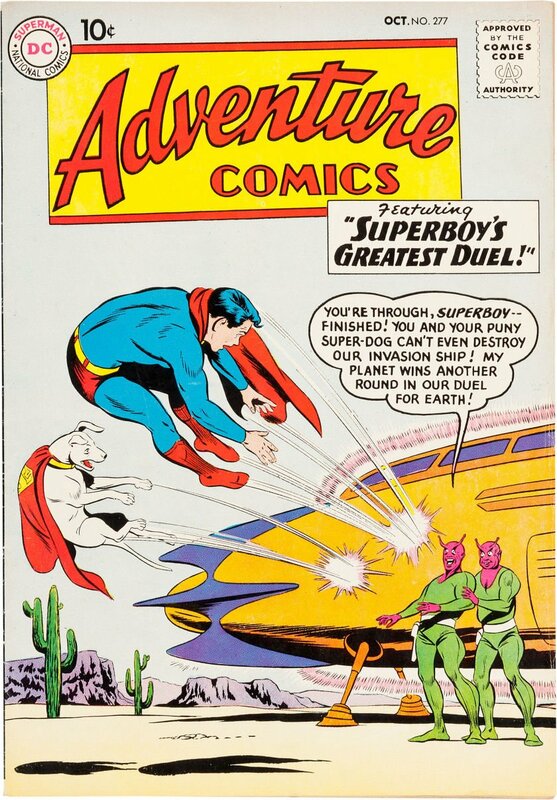 Click Here To See Adventure Comics #277 Comic Book! 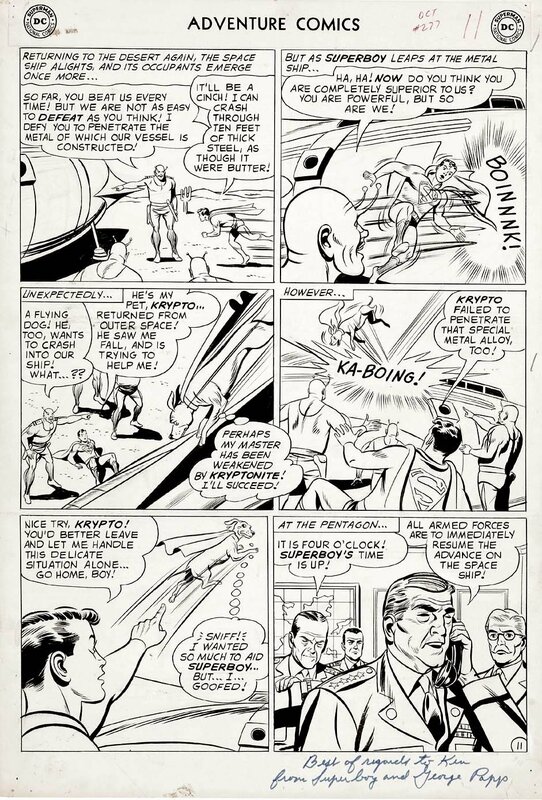 Check out this neat 1960 "COVER SCENE" interior page drawn by the great George Papp from Adventure Comics #277! Superboy and Krypto co-star in this sci-fi page from the Jerry Siegel-scripted yarn, "The Duel for Earth." This page has an image area of 13" x 18". This page was actually MAILED to a fan back in 1960, as there are horizontal folds between each panel tier, but thankfully the actual drawn art is not affected. The page has been signed and inscribed at the lower right, "Best of regards to Ken from Superboy and George Papp." Just a neat "EARLY" Krypto drawn 1960 page here!